I have loved E Lockhart ever since I read The Disreputable History of Frankie Landau Banks, so I was excited when I saw one of her recent books that had a great concept - someone turning into a fly on the wall - I had to read it! Gretchen Yee attends the Manhattan School for Art and Music, where everybody seems to have some sort of amazing talent or cool defining feature; like smoking out of a pipe or a blue beard. But Gretchen is just a normal girl who loves to draw in cartoon form; which is constantly getting her in trouble with her art teacher. Gretchen admires Titus from afar, studying him like a statue. But she know that she will never be able to talk to him as he is one of the most popular guys in the school. When a wish goes a-rye and Gretchen finds herself a fly trapped in the boys locker room, she learns a lot more about the guys at her school than she ever wanted to. Three words can describe this book - short and sweet. It was great, I haven't read or heard of a book with the same concept before, (unless you count Kafka!? - which was, coincidentally what Gretchen was reading!) so it was great to experience something like it for the first time. The lack of supernatural and just funny wish/ coincidence aspect of Gretchen being turned into a fly was refreshing and gave it that touch of reality that made it so much funnier. The story was great, it wasn't afraid to poke fun at it's semi-indie settings and people. It also had a great development; each part was divided equally enough that you were satisfied with the introduction, the action and the conclusion. 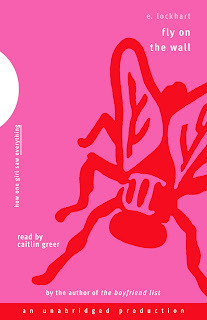 The action during Gretchen's fly times at the Manhattan School of Art and Music were the funniest parts of the novel. Lockhart handled the whole boys locker-room thing really well, the whole thing not just focusing on the guys and their bodies, sure, there was that stuff at the beginning, but it also delved into the social dynamics between them, the social norm, relationships and how men and women view each other so differently. 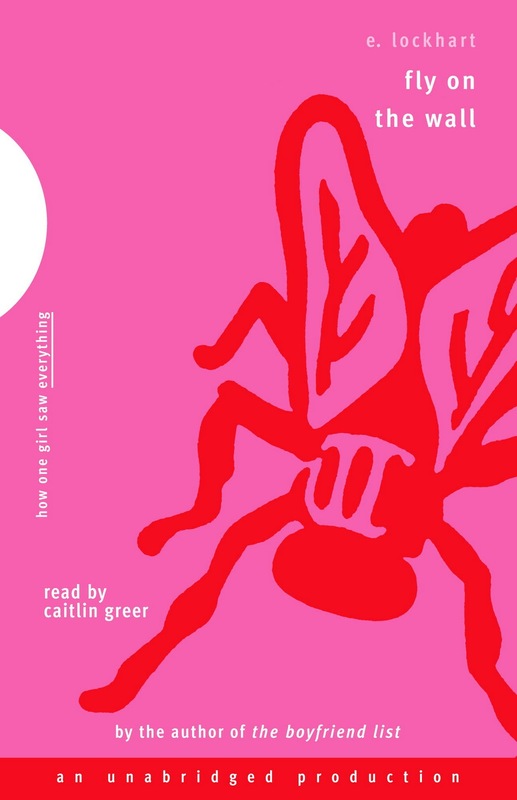 A really entertaining, original and quick read (182 pages) , Fly on the Wall is great if you're 12-19.